[toc]Hangnails are one of the most discomfort causing problems that usually occur with cracked hands. In simple words, if we try to define what exactly hangnails are, it is dry skin around the nails that usually lacks moisture and natural oils and therefore peels off from the skin. This leads to the problems of snagging. Along with being painful, hangnails are highly unattractive. 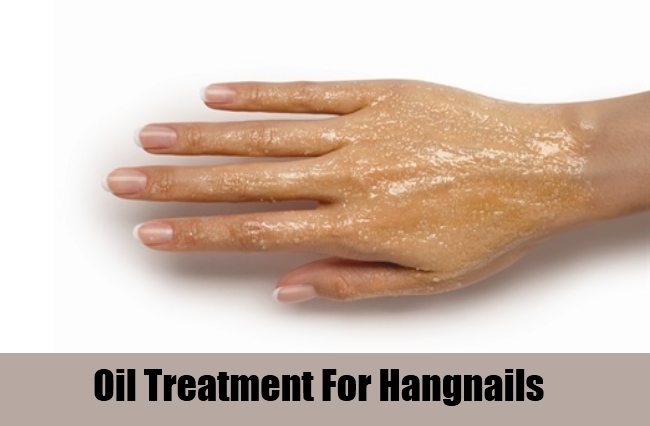 A good way to treat hangnails in a natural way is to give them a massage of warm oil. Some almond oil or olive oil can be mixed with any of the essential oils that are known for the treatment of the skin ailments. Make sure you only add a few drops of essential oil. Chamomile or lavender is the best example here. To this add some vitamin E oil by piercing the capsule. This should be warmed under hot running water at night and then massaged onto the hands. Give good attention to the nails. Leave it overnight while covering it with cotton gloves. Take some fresh almonds and grind them to a fine paste. 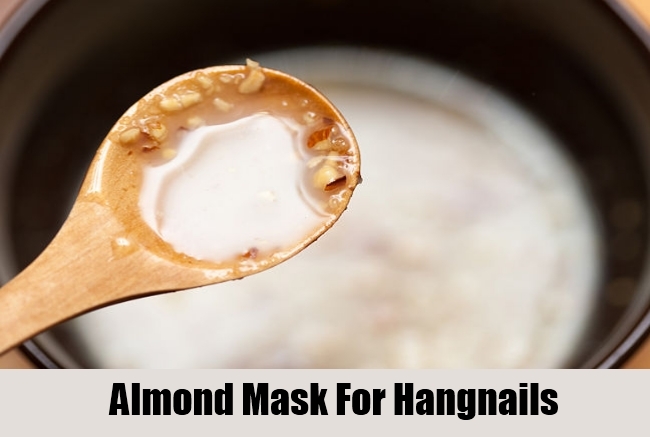 To dilute the almonds further you can add some almond oil to the paste. To this an egg yolk should be added and then blended well to get a fine and smooth paste. Now apply this evenly on the hands and the nails and leave it for about 30-45 minutes before you rinse off. It is a good treatment for hangnails and also adds moisture to the skin around the nails thus preventing the problem. 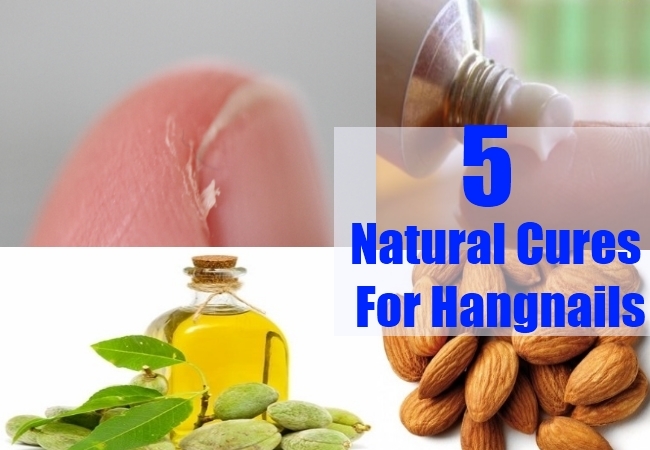 A simple natural cure that can help in not only treating the hangnails but also keeping any future occurrences at bay is to keep the hands and the nails properly moisturized. This should be done several times a day especially after washing the hands with soap. This will cover up the lost nourishment and thus treat the hangnails completely. 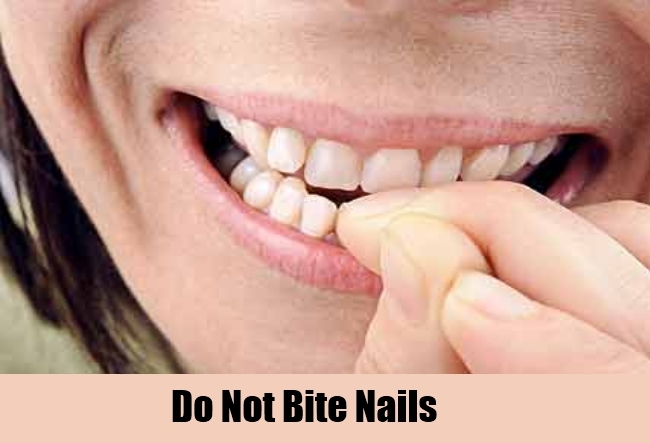 By biting on the nails, you will only make them drier and more prone to infections. The best natural cure that you can do is to keep away your habit of biting the nails. This will trigger the treatment of hangnails considerably. Make sure you use a clipper or a scissor to cut the nails and the dry skin around it. 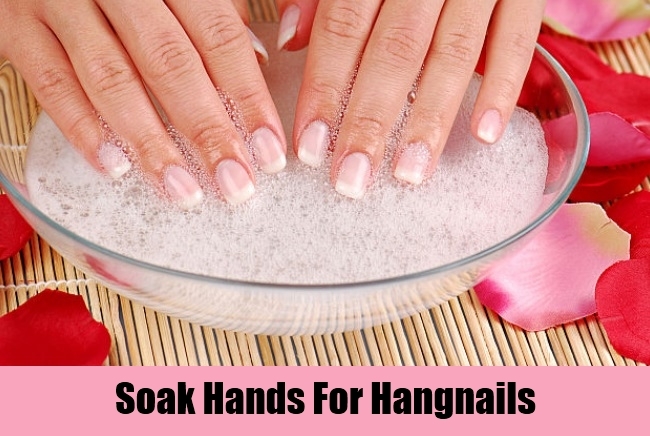 A simple soak can be prepared and the hands can be dipped in them for the next 20 minutes to ensure the treatment of hangnails in a natural way. Take a bowl and add some warm water to it. Add some of body oil in this water preferably the one that is your favourite. The fingertips can be dipped in them for the mentioned amount of time after which you can rinse the hands and pat dry with a clean towel. The hangnails that become soft should be removed with a clipper.